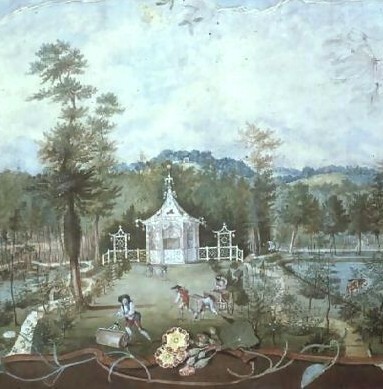 James Oswald wrote two sets of Airs for the Seasons, each season comprising twelve pieces in each set; a total of ninety-six miniatures, each descriptive of a plant allocated to its due season. 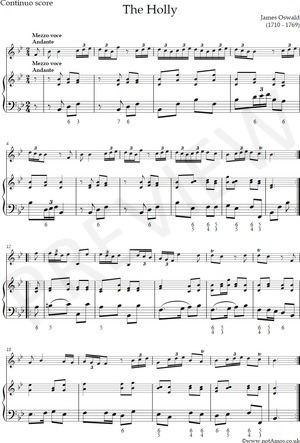 The original pieces survive in figured keyboard form (also available) but have been arranged as trio sonatas. The pieces for Winter are: Almond, Arbutus, Bay, Bear's foot, Box, Cyclamen*, Geranium, Golden rod, Hawthorn, Heartsease, Hepatica, Holly, Ivy*, Laurel, Laurustinus, Mezereon, Periwinkle, Persian Iris, Phillyrea, Snapdragon*, Snowdrop, Stock Gillyflower, Wallflower, Yew. All are suitable for violin, or (except where marked *) for flute.